Professor Mei Zhan conducts research in the areas of medical anthropology, science and technology studies, globalization and transnationalism, and China studies. Professor Zhan conducted field research on the “worlding” of traditional Chinese medicine in Shanghai and the San Francisco Bay Area over a ten-year period (1995-2005). This multi-sited research focuses on the processes of interaction, rupture, and displacement in the translocal formation of knowledges, identities, and communities. Professor Zhan’s research and writing highlight that what we have come to call “traditional Chinese medicine” is made through—rather than prior to—various translocal encounters and from discrepant locations. Her work shows that dynamic forms of traditional Chinese medicine emerge through specific kinds of encounters, as these encounters also produce uneven and shifting visions, understandings, and practices of what makes up the world and our places in it. 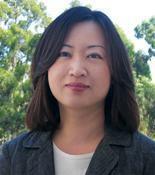 Professor Zhan is currently working on an ethnographic project on China’s emergent knowledge economy. She investigates the rise of a new “classical Chinese medicine” through medical entrepreneurship in cosmopolitan China. She explores how pre-Daoist and Daoist ideas and concepts–especially those centered on the dynamic oneness of all things in the world–are animated and articulated across disparate sites in everyday life, and especially through grassroots efforts and entrepreneurial innovations to bring medicine “back to life”. Professor Zhan teaches courses on the History of Anthropological Theory, Spirits of Capitalism, the Anthropology of Knowledge, Humanism and Posthumanism, the Ethnography of Encounters, China and Globalization, among others.